From the Post Minimal experiments of the 1970s, Julian Schnabel emerged as an important Neo-Expressionist painter of the 80s. With his large, often dense surfaces, famously covered in broken crockery, he, along with fellow painters Eric Fischl and David Salle, brought figuration forward. In the 90s, Schnabel turned to filmmaking with Basquiat, a biopic on the artist who was also a colleague in the 80s scene. Continuing to paint and make films, Schnabel’s work in both forms acts as landscape, homage and portraiture, employing raw gestures and epic scale. 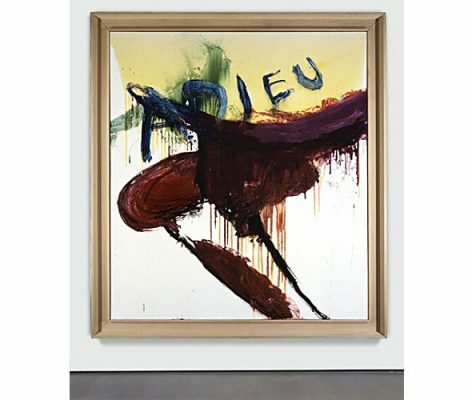 Julian Schnabel’s work is in the public collections of the Museum of Modern Art, New York; Whitney Museum of American Art, New York; Metropolitan Museum of Art, New York; Museum of Contemporary Art, Los Angeles; Guggenheim Museum, New York and Bilbao; Tate Gallery, London; Tokyo Metropolitan Art Museum, Tokyo; Museum of Fine Arts, Houston; Museo Nacional Centro de Arte Reina Sofía, Madrid; National Gallery of Art, Washington D.C.; National Gallery of Australia, Canberra; San Francisco Museum of Modern Art, San Francisco; Hamburger Bahnhof, Berlin; Kunstmuseum, Basel; Fondation Musée d’Art Moderne, Luxembourg; and Centre Georges Pompidou, Paris.